Here now is the Jupiter-2! Or is it the Gemini-12? 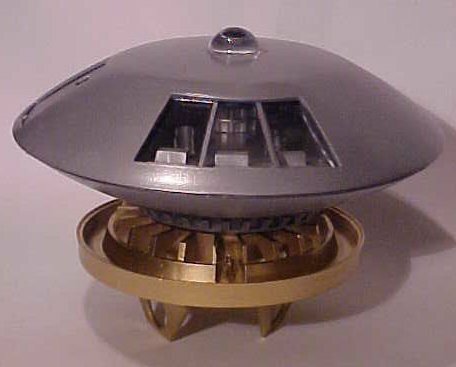 Something of a mix of the two different designed from Lost in Space. 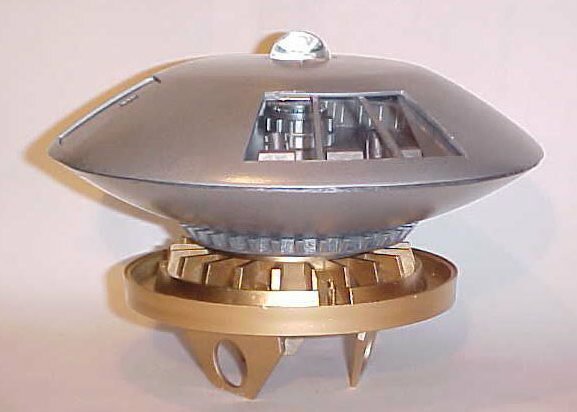 This 1960's cult favorite spaceship brought the Robinson Family, the B-9 Robot, and the villain of the week, Dr. Smith to unknown worlds, and crashing more than that of 'Speed-Racer". This one of a kind model and special display base. 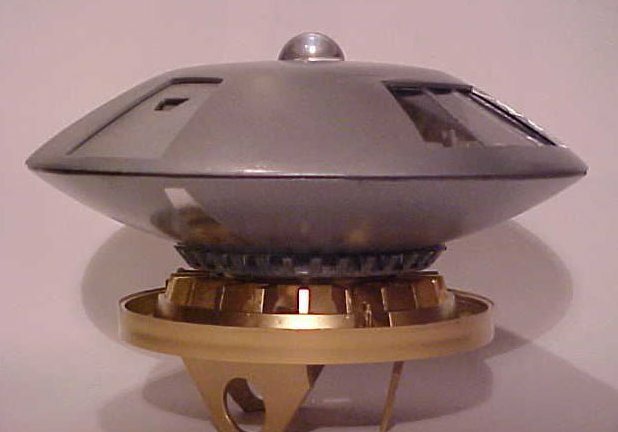 Customized from various parts: Power-Core / Landing-Wells Enhanced Silver-Inlay, Pilot Chairs, Astrogator. Scratch-Built Interiors for fun npt exact, can view thur Front-Windows. View Port Windows made from Plastic & Two-Wood Slat-Separaters. Built From: Hard-Plastic NOT Vacuum-Form not from any Kit. Model perhaps What Aurora might have done in this type of size? 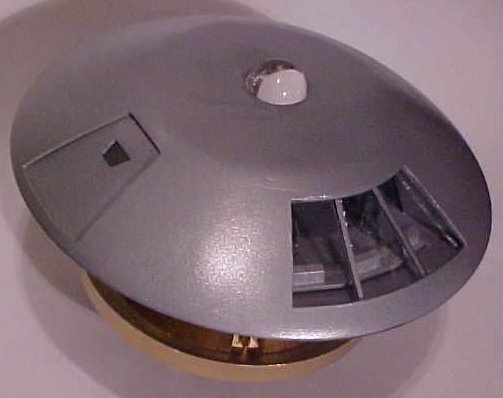 Comes with Gold Plastic Display-Stand SpaceShip approximate 7-inch in diameter. Created by Jerry VonMuller of New York City!